The PD-50, built by a Swedish shipyard in 1980 for the Soviet Union, sank in an uncontrolled “launch” of the Kuznetsov and came to rest on the sloping bottom of the harbor at Murmansk. Two cranes collapsed during the sinking, with one crashing onto the Kuznetsov and leaving a large gash in its hull. And recovering and repairing the PD-50 could take as long as a year. 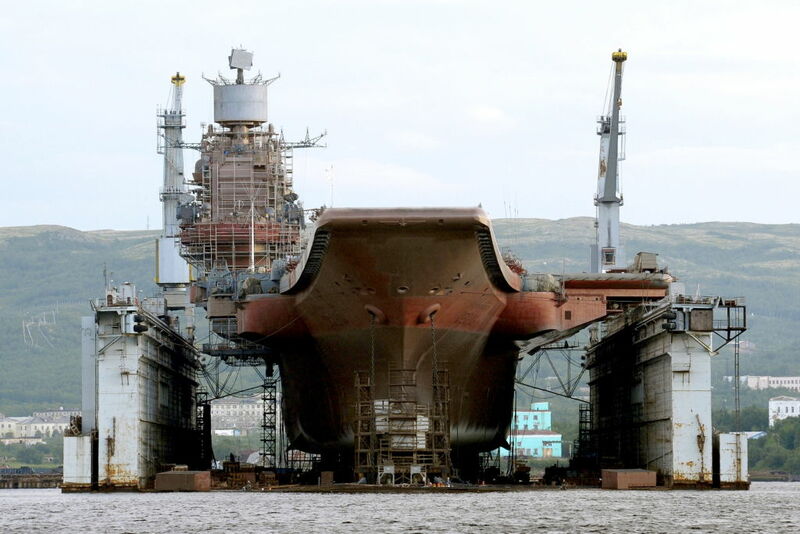 “We have alternatives actually for all the ships except for Admiral Kuznetsov,” United Ship-Building Corporation Chief Executive Alexei Rakhmanov told TASS. But the loss of the PD-50 dock “creates certain inconveniences” for future repairs on large capital ships, he acknowledged.” We hope that the issue of the docking of first-rank ships will be resolved in the near future. We are also preparing several alternatives, about which we will report to the Industry and Trade Ministry,” Rakhmanov said.